Traditionally, companies consider there one responsibility i.e to earn more for their shareholders. But the concept of corporate social responsibility says that companies should also take responsibility of society. CSR goes beyond earning money for shareholders. It’s concerned with protecting the interests of all stakeholders, such as employees, customers, suppliers, and the communities in which businesses operate. Some people says that companies owe no duty to society and some believe that companies should pursue a deeper purpose beyond simply maximizing profits. We are incorporating few FAQ’s on corporate social responsibility to make it understand in more comprehensive manner. What is meaning of ‘any financial year’ mentioned in Section 135 (1) of the Companies Act, 2013? It implies any of the three preceding financial years. (may refer General Circular No. 21/2014, dated: 18.06.2014). Can the expenditure incurred towards personnel exclusively appointed by the companies for implementing the CSR activities of the company, be included in the expenditure earmarked for CSR activities? Salary paid by the companies to regular CSR staff as well as employees, who render their services for CSR will be part of Administrative overheads and should not exceed 5% of the total CSR expenditure as per rule 4(6) of CSR Policy, Rules 2014. Whether CSR expenditure of a company can be claimed as a business expenditure? The amount spent by a company towards CSR cannot be claimed as business expenditure. Whether the ‘average net profit’ criteria for section 135(5) is Net profit before tax or Net profit after tax? Computation of net profit for section 135 is as per section 198 of the Companies Act, 2013 which primarily is NET PROFIT BEFORE TAX. Can the CSR expenditure be spent on the activities beyond Schedule VII? General Circular No. 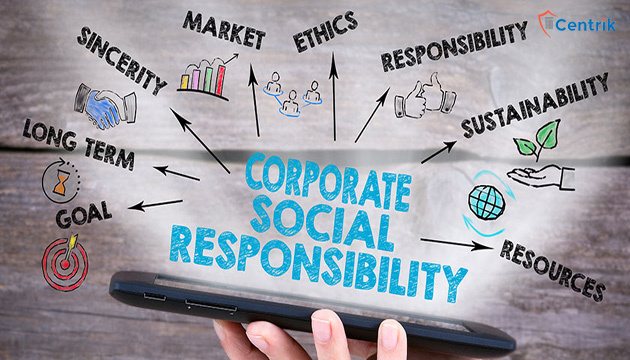 21/2014 dated June18, 2014 of MCA has clarified that the statutory provision and provisions of CSR Rules, 2014, is to ensure that while activities undertaken in pursuance of the CSR policy must be relatable to Schedule VII of the Companies Act 2013. However, the entries in the said Schedule VII must be interpreted liberally so as to capture the essence of the subjects enumerated in the said Schedule. What tax benefits can be availed under CSR? No specific tax exemptions have been extended to CSR expenditure. CSR does not form part of business expenditure. While no specific tax exemption has been extended to expenditure incurred on CSR. Which activities would not qualify as CSR Expenditure? The CSR projects or programs or activities that benefit only the employees of the company and their families shall not be considered as CSR activities in accordance with section 135 of the Act. Whether provisions of CSR are applicable on Section 8 Company, if it fulfills the criteria of section 135(1) of the Act. Can donation of money to a trust by a company be treated as CSR expenditure of the company? Whether CSR projects or programmes for employee of the Company and their family will form part of CSR activity? NO, The CSR projects or programs or activities that benefit only the employees of the company and their Families shall not be considered as CSR activities. Whether expenditure incurred on disaster relief qualifies for CSR or not? Disaster relief can cover wide range of activities that can be appropriately shown under various items listed in Schedule VII. Whether contribution in kind is permissible as CSR or not? Section 135 prescribes “….shall ensure that company spends….”.The company has to spend the amount. Hope this FAQ’s help you in understanding more about CSR provisions and practical difficulty faced. So now, there have been increased demands from employees, customers and government bodies for businesses to be more open about their activities and to reach, and maintain, acceptable standards in their business practice.